North East Trust is named one of the top ten in the UK for its detection of small babies. 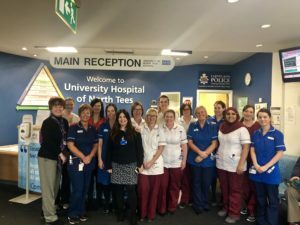 North Tees and Hartlepool NHS Foundation Trust has worked hard to implement the Perinatal GROW protocol which enables the management of Small for Gestational Age (SGA) and Fetal Growth Restriction (FGR) pregnancies. 81% of Trusts in the UK are using the GROW protocol, the Trust places in the top 10 for its detection rates. This is a result of the programme being fully implemented at the Trust for two years. The Perinatal Institute provides tools for the assessment of fetal growth and birth weight through its specialist Gestation Related Optimal Weight (GROW) software. Early detection supports early intervention, leading to a reduction in the risk of stillbirths. This has resulted in a 23% reduction in stillbirths Nationally compared to the previous ten year average and is the equivalent to 860 fewer stillbirths each year. Previously, women would have a scan and the baby’s size would be calculated on the basis of the size of the abdomen. With the new GROW-chart, BMI, ethnicity and age are taken at the booking appointment and the personalised chart is produced. Those women identified at risk of having SGA and FGR pregnancies tend to have at least one risk factor including, smoking, raised BMI, Diabetes and increased maternal age. These high risk women attend serial growth scans throughout their pregnancy. 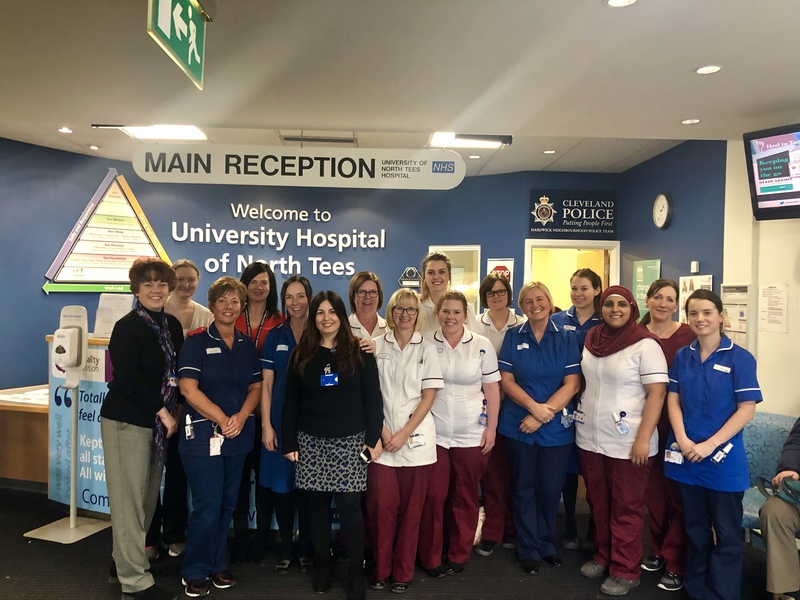 With the help and support of Consultants, MAU Ward Manager, Ultrasound department and midwifery staff, the Trust introduced a Midwife Led Ultrasound Clinic. Where a woman is deemed to be low risk, she will have fundal height measurements plotted on the chart by the midwife throughout her ante-natal care to monitor the growth of the baby. The expectation is that, once plotted, they will follow a continuous curve. However, if there is any deviation from the curve, they are referred into the Midwife Led Ultrasound Clinic/Women’s Ultrasound for a scan to assess baby’s growth and wellbeing, increasing the opportunity to detect any issues. Both the community and hospital midwives are able to refer women directly into the clinic. The midwives leading the clinic are able to liaise directly with the Community teams or Consultants as necessary to ensure continuity of care with the appropriate professional. Everyone within Maternity Services receives yearly training around the GROW protocol, this training is delivered by the midwives who lead the Midwife led Ultrasound Clinic.